Getting rid of the stubborn oil stains on clothes is not at all a cakewalk. The stains that once hung the cloth never get off so easily, and we are always left wondering how to get rid of oil stains on clothes. But, now, you can easily remove the ugly and stubborn oil stains from your clothes. Keep reading to know more about how to get rid of oil stains on clothes. The best way to remove the oil stains from clothes is to wash them with hot water. Hot water effectively removes the stains. But, you must check the garment care label. If it says that you must not wash the cloth with hot water, you must avoid it. There are several other remedies to clean oil stains that won’t destroy the quality of the fabric. Before you make way for your oil stained cloth in the washing machine, take a tissue paper and blot the oil stain. This will remove the excess oil from the stain. You can also use a cotton swab or paper towel for the purpose. Press the tissue paper, swab or paper towel and press it gently over the stain on either side of the fabric. Do not rub the stain. You need to dab it on the stain just to soak the excess oil. If you think that dishwashing liquids and bars are just meant to wash the utensils, you must think it twice. 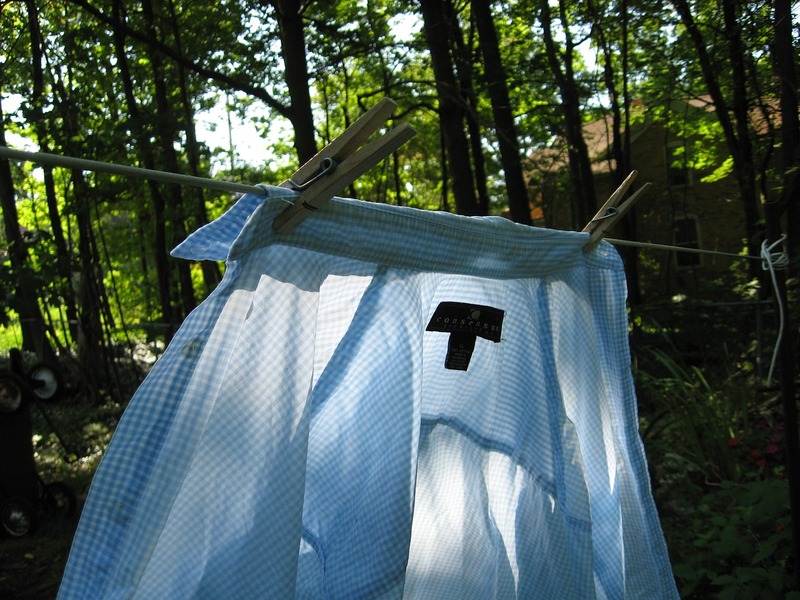 When your favorite cloth is ruined by oil stains, a dishwashing bar or liquid comes as a knight in the shining armor. Now, if you are wondering how to get rid of oil stains on clothes using dishwashing liquids and bars, let us explain you the whole process. You can use any dishwashing liquid or bar for the purpose. Take some hot water and the liquid or bar. Cover the entire stain with the dishwashing liquid. Take an old toothbrush and rub it over the stain gently in circular motion. This will definitely remove the stain from the cloth. But, we suggest you use this remedy on everyday clothes. There are many amazing spot removers that help you to get rid of the most stubborn stains. They are really very effective. Take a spot remover and spray it all over the stain in copious amount. Now, scrub the area using an old toothbrush. Now, let the remover stay on the fabric for a while, meanwhile, you boil some water. Now pour the hot water on the stain from some height. This will surely remove all the oil stains. This is also an easy remedy for oil stained clothes. Take some baking soda and sprinkle it over the stains. Let it stay for a few minutes and then rub it off using a damp sponge or towel. The stains will be gone.